Gonterman Construction is a luxury custom home builder and full service residential remodeling construction management firm located in Newport Beach, Orange County, CA. We opened our doors in 1996 to enable people to build the property of their dreams in the stunning coastal region of Orange County and Los Angeles, and have worked on dozens of projects since then. Founded on the principles of honesty, transparency, and integrity, Gonterman Construction has redefined the standards of general contracting. Not only this, we have upped the stakes in terms of what clients can expect when building or remodeling a home, as we go above and beyond expectations to provide an unsurpassed level of expertise and knowledge. For the past 20 years, Gonterman Construction has been an industry-leader in developing not only beautiful properties, but reinvigorating the standards of practice in custom home building. We know that no two client briefs are alike, which is why we take great care to treat each and every project with the professionalism and attention to detail it deserves. If you are planning to build the home of your dreams, or remodel an existing one in Orange County or Los Angeles, our team can help. Working alongside dozens of clients over the years has helped us discern what matters most, and once we determine your expectations, we set about superseding them. This means getting to know you, along with what you want out of your property, so that we can create a stylish, functional family home. Exceptional customer service is at the heart of our business, and can be felt at all stages of construction – from the initial consultations, to design, project planning, and execution. Our personal level of service enables us to create something that encapsulates our client’s unique personality, while meeting practical requirements for everyday modern life. The fact that our company has grown primarily from referrals demonstrates the high standards we meet with every project. When working with our Company, financial transparency is shown from the initial stages of development. Operating on a cost plus basis, clients are in control on the quality and standard of products and materials used from start to finish, allowing them to maximize their investment in the construction of their new home. At Gonterman Construction, we don’t just build new custom homes – we realize visions. With our qualified, experienced and professional team, you can see your concept materialize into a well-built, intuitively designed modern property. Jason Gonterman founded Gonterman Construction in 1996, and currently serves as the President of the company in addition to being an active project manager on every project. Jason’s passion for home building and construction was evident from a young age, and lead him to found the business to pursue this passion. The company grew through Jason’s ability to share his passion for building, and through many successful relationships built along the way. In addition, Jason has carried out a number of personal and real estate development projects, enabling him to experience both sides of the coin when it comes to building or remodeling a home. “Our clients are successful people, and they know exactly what they want. They have great taste and they don’t cut corners. So it’s our aim to use our knowledge and expertise to over-deliver on their vision. As an Orange County resident for over 32 years I have seen a number of general contractors come and go in the community. I reached out to Jason of (Gonterman Construction) 2 years ago to rebuild my home in the Huntington Beach Peninsula. They did everything they promised to do, I never went to bed with a question unanswered or an issue unresolved. These guys are true professionals and I experienced first-hand why Gonterman Construction is contently being called to the table. I rarely take time from my busy schedule to write a testimonial but these guys earned it. Anybody who is considering a remodel or rebuild of their home owes it to them. Gonterman Construction exceeded expectations in every aspect of service delivery. Skilled labor arrived on time ready to execute on a daily basis. The co-ordination of layering in resources over the 7 month job was flawless. The level of skill craftsmen employed amazed us as they transformed studs into a work of art. The workers were polite, well mannered & cleaned up thoroughly on a daily basis. Best of all was the attitude of Jason Gonterman that permeated his entire organization. Jason responded quickly & professionally to every challenge. If he didn`t believe any of the sub work completed reached the level of his high standards it was redone at his cost. The job came in on time & under budget. I cannot recommend him & his organization highly enough. Jason and his team did a spectacular job building our home. We wanted something very specific and Jason delivered. His even keel approach helped everyone stay focused when things got stressful as they always do in construction. 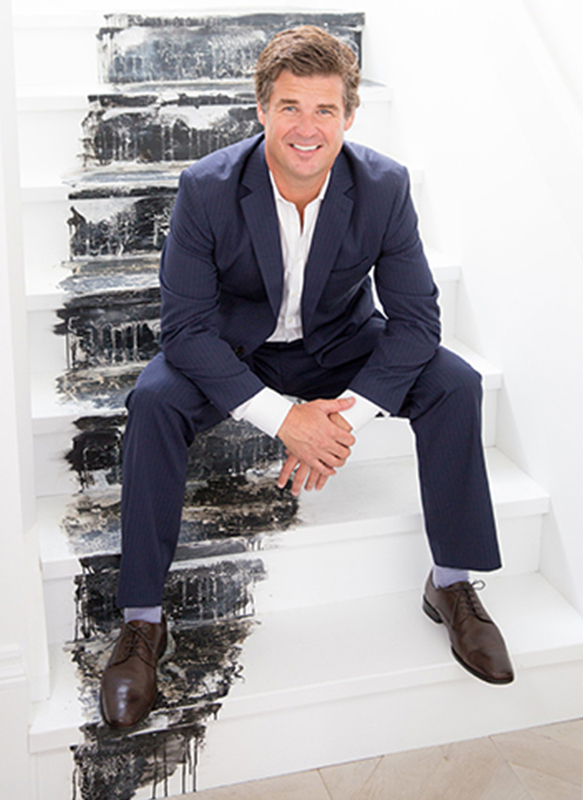 I would strongly recommend Jason to anyone that is looking to build a luxury custom home. Designing a custom quality home is made infinitely easier when you work with Jason and his team at Gonterman Construction. They have a keen eye and a thorough understanding of how to build exactly what you envision, and the proof is in the finished design. Working closely with Jason over the years, I can say he’s efficient, enthusiastic about every project that comes his way, and truly a pleasure to work with. If you are looking for a construction team that can bring to life any design vision, interior or exterior, I would recommend Gonterman Construction without hesitation. Jason Gonterman is my favorite builder to work with. I supply plumbing fixtures and appliances to his company. He is organized, reliable and efficient. His crews love working with him and he never says no – if the customer needs something Jason gets it done. Jason’s houses are built with quality. He uses trades that know what they are doing and have an eye for quality. You will move into your house when Jason tells you, he is fully committed to making his customers happy. Working with Jason from Gonterman Construction has been an absolute pleasure! I have had the pleasure of photographing Gonterman Constructions’ projects for a few years now, each one being more unique and creative than the last. They are current, if not ahead of the trend and I never know what to expect when I arrive at a shoot, yet I know it will be an incredible project to help showcase. Their work is top notch and unmatched for quality. Their clients boast about their professionalism yet how personal they are at the same time. It is truly a pleasure to work with them!! Jason is a fine General Contractor. Gonterman Construction was a pleasure to deal with. Their employees are friendly, courteous and very knowledgeable in all phases of their work. He’s so accommodating and nice. He also has great style and input for a contractor. He has been nothing but easy to work with and the end product is always amazing! My wife and I embarked on a journey that we’ll forever be thankful to Gonterman Construction and Jason Gonterman. We hired Gonterman Construction for a complete residential remodel. It was a entire “gut job” top to bottom that took a full year and we could not be happier about the way it turned out. We were very thorough in our search for a general contractor and we received three bids from competing contractors. It was a difficult decision but Mr. Gonterman understood our vision the best and understood that I was a numbers person and my wife a designer. Jason struck a balance between both dynamics and he was very easy to work with. Throughout the project, Jason’s eye and his attention to details was second to none, and the way he coordinated the project was very impressive. His communication with us throughout the process was great and we never felt left behind for other jobs. His crew and army of sub-contractors were there every day. Any problems that came up, and there were only a few, he handled like a true pro. Contrary to many general contractor horror stories, we ended up good friends. I wouldn’t hesitate referring Jason and Gonterman Construction to anyone in need of a home builder. Thanks Jason and Crew. A real pro in all aspects of building our dream home in Seal Beach. His subs work all his projects and they are unrivaled in their workmanship. Our project finished in record time compared to all comparable projects in our area over the past 7+ years. We have received countless accolades from neighbors, friends, and real estate people in the area. Due to our trust in Jason, he was our ‘tiebreaker” when it came to deciding on design elements, colors and all the countless choices that have to be made during construction. Without hesitation, we highly recommend Gonterman Constructon. I have had the pleasure of working with Jason and the team at Gonterman Construction for many years and all have been top notch in their respective fields. Jason always has a lot of homes going and stays very busy, and there is no surprise as to why – the homes he does are magnificent. Working with Jason is easy because even though he has a ton of homes going, he stays on top of everything and stays focused on the details. We have worked with a lot of people over the years and there is not a lot of people who we can count on to know their job, but with Jason, he is always on top of his game. As far as we’re concerned, he has earned every bit of this positive review, it was not just given. Jason and his team are the absolute best. How many people can say they have become and remain friends with their contractor? Jason finished a complete remodel (down to the studs) on our mid-century modern home in Huntington Harbor in 4-5 painless months. Truly never had an issue with him and we absolutely love our new home, we get compliments on it all of the time. He gets the job done, and has great vision and works within budget…the only overruns we had were because of things we added. I have and will continue to highly recommend Gonterman Construction to anyone who is considering a custom home ground up or remodel. I have worked with Jason and the team at Gonterman Construction for several years on various styles of homes. As a flooring contractor I rely heavily on the contractor’s ability to schedule projects on timely bases, have knowledge of the industry, work ethic and accountability and Gonterman Construction is second to none! They have the unique ability to work with any clients aesthetic and create a beautiful home that fits all styles of design. Gonterman Construction’s attention to detail, workmanship and dedication to every project is clearly present from day one. I would highly recommend Gonterman Construction to anyone looking for a quality custom home builder. - GAETANO HARDWOOD FLOORS, INC.
My husband and I decided to build our dream home to raise kids and stay for life. Our style was rather undefined at the start of the project, but along the way with a visionary interior designer, we found a builder with a tremendous amount of creativity, flexibility, and a ruthless attention to detail. We found all of this and more in Jason and his incredible team.